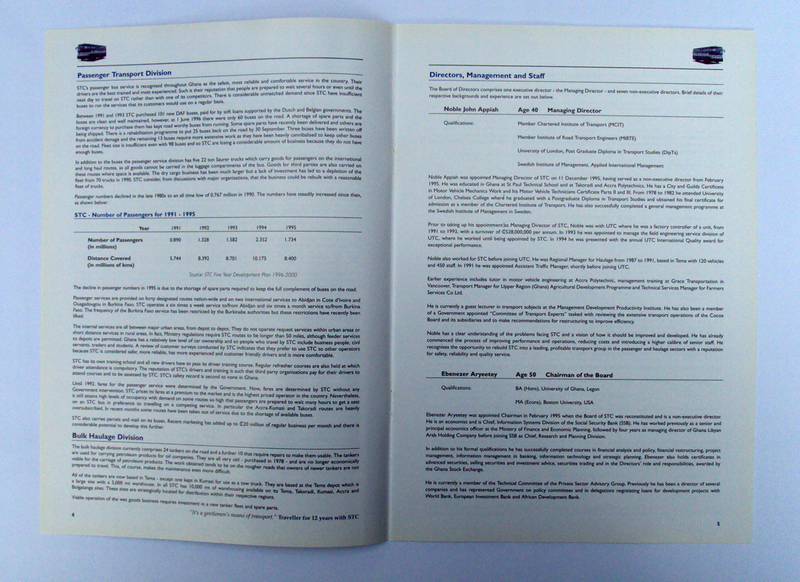 Share Prospectus for sale of STC Ghana. 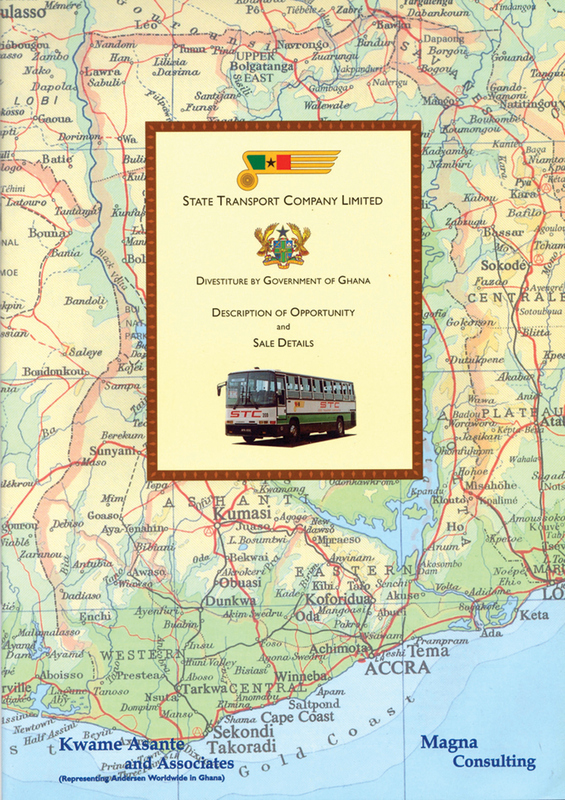 State Transport Company Limited (STC) was 100% owned by the Government of Ghana (as a result of the prospectus and offer 80% of the passenger transport division was sold and all of the Bulk Haulage Division was sold). 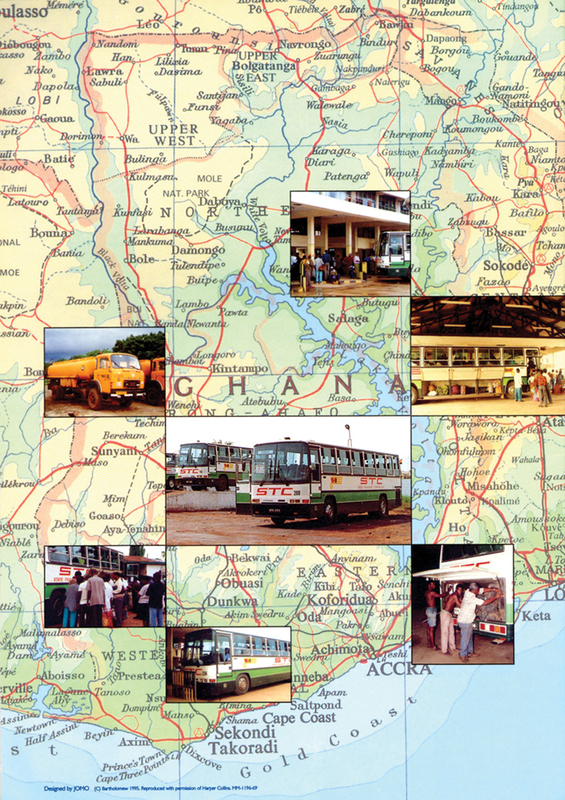 STC is recognised as the leading bus operator throughout Ghana. The company was set up in 1909. 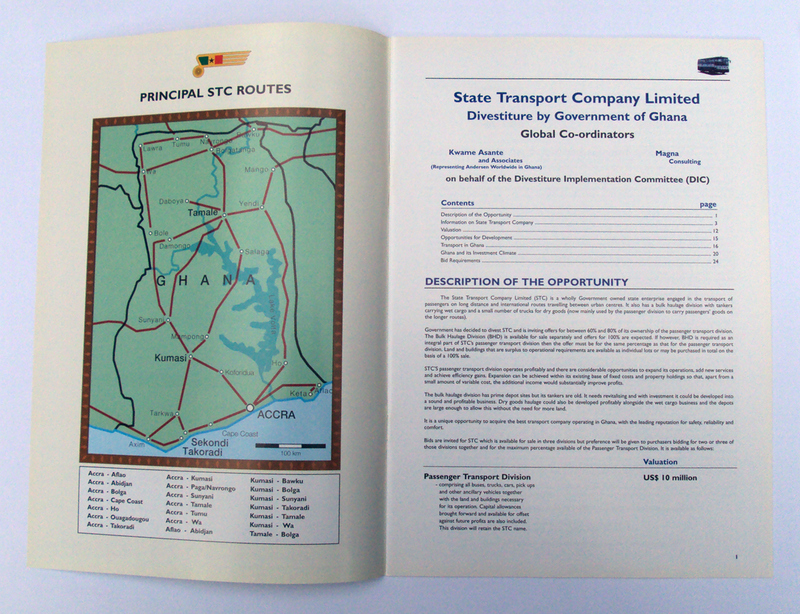 The design and artwork for the prospectus was all created by Jomo which included redrawing the STC logo in Illustrator, drawing the routes and map highlighting the STC routes and scanning the Divestiture by Government of Ghana in four parts then joining together in photoshop. 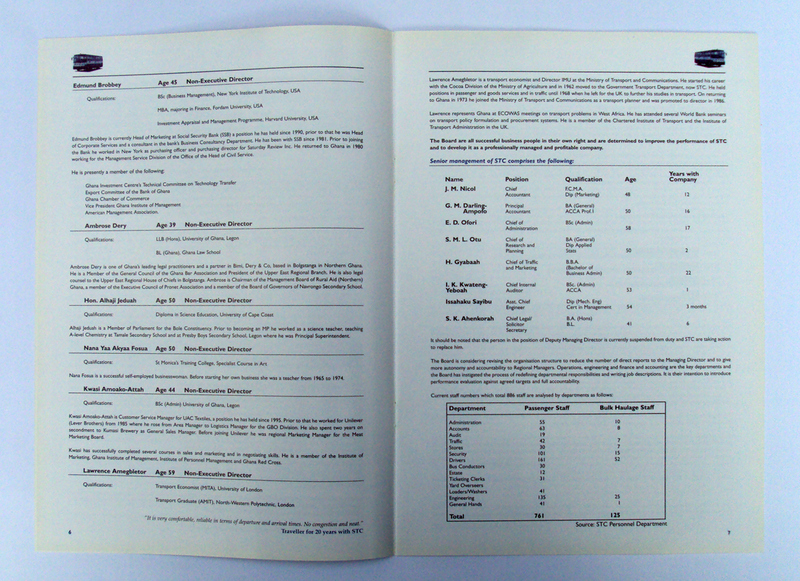 A 'Bid Requirements' was also created, printed and inserted in the prospectus. Adverts were created for The Ghana Times and The Financial Times to promote the offer. This 28 page prospectus was printed four colour process throughout on a 170 gsm art with a gloss laminate on the cover only and printed in London. The map of Ghana was used under agreed copyright from Collins Bartholomews. 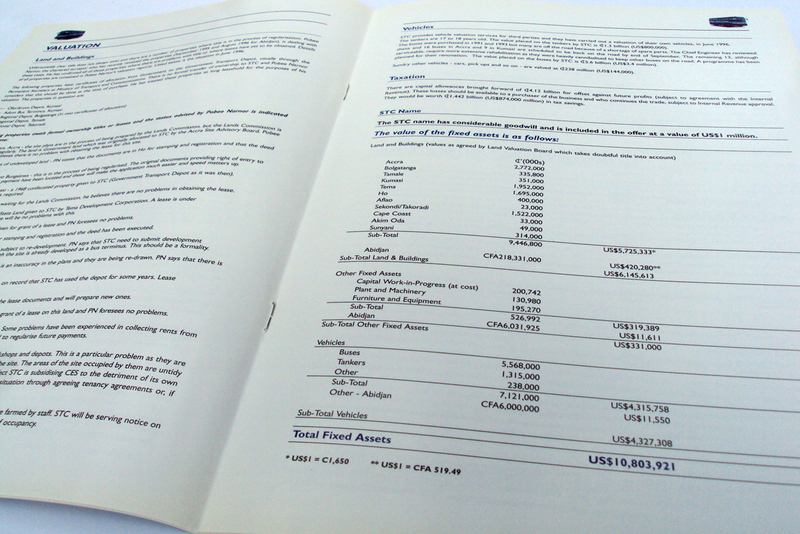 The 2000 finished prospectus were then delivered to Accra in Ghana.